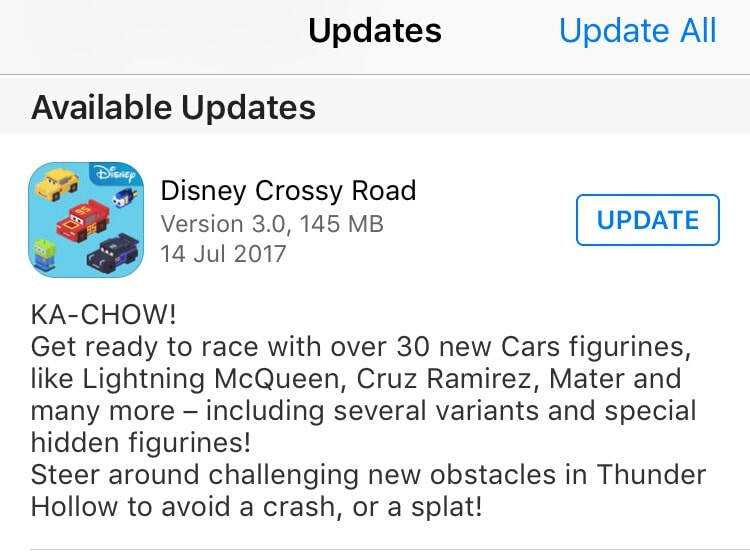 The new Disney Crossy Road Update with NEW characters from the all new Cars 3 movie was just released on July 14, 2017. The total character count went up from to 551 with over 30 new popuplar Cars figurines like Lightning McQueen, Cruz Ramirez, Mater and many more. Check out the Cars 3 hidden character unlocks! As soon as we know the unlock conditions of the new secret characters, we will post it in our Disney Crossy Road section. If you have already unlocked some secret characters, feel free to tell us in the comments! Click here for the complete unlock guide!